RYAN ROBINSON LOVES YOUR FACE: Stick 'Em Up! 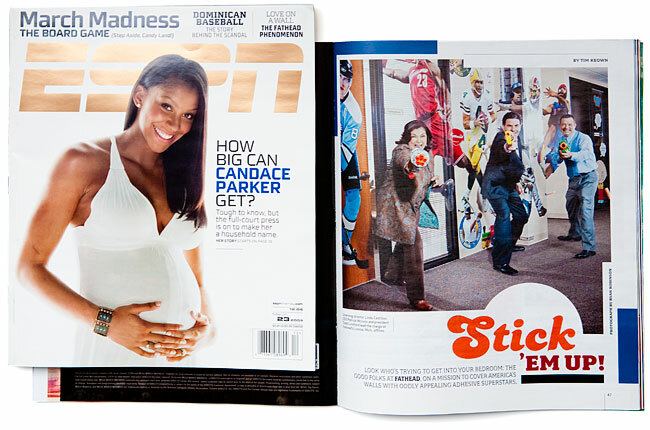 Pick up the latest issue of ESPN Magazine to see a portrait I shot of the executives of Fatheads, a fun, campy and innovative company that creates those HUGE life-size decals for your walls, ceiling, car, or pretty much anywhere you want! We had a blast with the Fatheads at their headquarters, especially dodging their nurf darts and getting a head-rush from their slushy machine!